Well, though the Berry or Fruit Oil and Seed Oil share some similarities, including nutritional profiles containing Omega fatty acids, tocopherols, tocotrienols, and carotenoids, the two oils are actually quite different. Not only are they visually distinct from each other— the Fruit Oil is very rich dark orange to red in colour and quite viscous, while the Seed Oil is yellow to pale orange and more fluid—but they also have noticeably different nutritive profiles. Of course, it is also important to note that the bioavailability of both oils varies depending on the plant varietal, the growing conditions, the time of harvest, and the method of oil extraction. Perhaps the most significant difference between the two oils is in their fatty acid profiles. Fruit Oil contains the EFA (Essential Fatty Acid) Omega 6 and, perhaps more significantly, the rare and highly sought-after Omega 7 fatty acid. Research indicates that Omega 7 supports and soothes the skin and mucous membranes, including those found in the gastrointestinal and urogenital tracks. It also assists with skin repair and cell regeneration, making the Fruit Oil desirable for use in skincare products for problem skin. 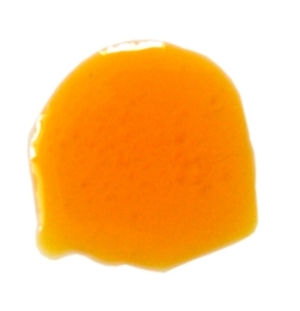 However, due to its rich orange colour, it should be used sparingly or diluted when applied topically. Seed Oil, on the other hand, contains the EFAs Omegas 3 and 6 in a near-perfect 1:1 ratio, and is also a rich source of Omega 9. Omega 9 has been shown to support immune function and may lower cholesterol levels. It is also very nourishing and protective for the skin. Sea Buckthorn Seed Oil is wonderful for use on dry or mature skin. With such extensive and remarkably complete nutritional profiles, it’s no surprise that the two oils are valued for both internal and external applications. In fact, scientists and practitioners in many parts of the world are utilizing Sea Buckthorn oils and extracts in modern medicine and skincare today. 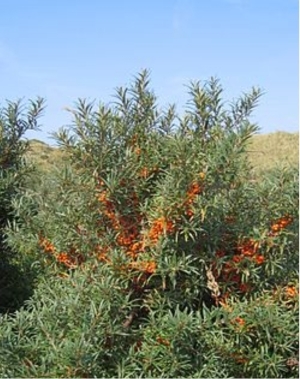 Studies have validated the ancient texts’ claims of the efficacy of Sea Buckthorn in the treatment of a variety of gastrointestinal disorders and skin conditions, including eczema, rosacea and other forms of dermatitis, and current research is underway to study the effects of Sea Buckthorn on cancers, cardiovascular diseases and liver diseases. So, Sea Buckthorn Seed Oil and Fruit Oil share some similarities but also differ significantly. It’s important to know a bit about each oil before considering one (or both!) for an application. And in fact, the best course is often to combine Sea Buckthorn Fruit Oil and Seed Oil in an appropriate ratio in order to benefit from the unique balance of nutrients– essential and nonessential fatty acids, carotenoids, minerals, amino acids, vitamins, and other bioactive substances– contained in each oil. Sea Buckthorn seed oil is one of two different kinds of oils that can be extracted from the Sea Buckthorn plant, the other being berry oil. It can be easy to confuse the two, but they consist of different vitamins and substances, providing different benefits. When mixed together, the two oils create a powerful skin health product, but the seed oil on its own is an incredible all-natural source for a number of vitamins and essential fatty acids that are critical for the body’s overall health. When taken along with the other components of the Sea Buckthorn plant, the seed oil forms part of a “complete package,” incredibly effective in building up a multitude of the body’s defense and repair systems. Vitamin E- Vitamin E is an important antioxidant that is present in large amounts in Sea Buckthorn seed oil. Some of its functions include protecting against several eye diseases and boosting the body’s all-important immune system. By far the greatest health benefit of seed oil is the fact that it contains the two essential fatty acids, linolenic acid (Omega-3) and linoleic acid (Omega-6). While necessary for the body’s healthy functioning, they are relatively rare, but Sea Buckthorn seed oil contains both EFA’s in a nearly perfect proportion to one another. Taking seed oil is a great way to make sure that your body is adequately supplied with these critical essential fatty acids in just the right balance. Seed oil also contains twelve other essential fatty acids, all of which are excellent sources of fuel for the body. These EFA’s lie behind Sea Buckthorn’s potential for increasing energy by safe and natural methods. Free radicals are the cause of many types of cell damage, including cancer. When seed oil from Sea Buckthorn breaks down inside the body, it attacks these free radicals, keeping them at a safe level. This function is an important element in preventing cancer and some liver diseases. It may even have an anti-aging effect, slowing the rate at which the body’s cells die. When the seed oil and berry oil from Sea Buckthorn plants are combined, they work together to revitalize the body’s largest organ—the skin. Civilizations familiar with this incredible plant have been using these oils throughout history to keep their skin strong, healthy, and soft, even in the harsh cold climates of Russia and Finland. With substantial benefits and none of the dangers connected with synthetic chemical compounds, Sea Buckthorn seed oil is a safe and effective way to keep your skin looking fantastic.